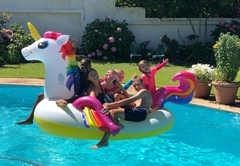 Chantilly Guest House is a guest house with self catering option, providing accommodation in Ceres for tourists visiting the Breede River Valley region. 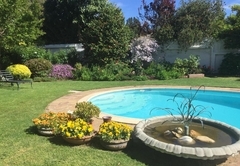 Offering luxury self catering accommodation, Chantilly Guest House is situated in a quiet residential area in the heart of Ceres. 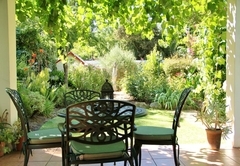 Chantilly Guest House offers three self catering suites which each sleep two guests. Each suite comprises of a lounge / dining / kitchenette area and separate en-suite bedroom. 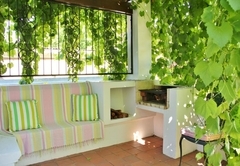 All suites have a private entrance and an outdoor barbecue / braai. 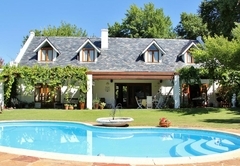 Ceres and the surrounding area is known for its fresh fruit, fruit juices and mineral water. 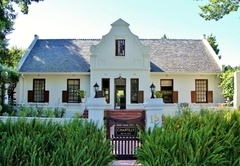 The Ceres Valley produces the finest fruit in South Africa, and the region dominates in the export of peaches, with apples, plums, grapes, potatoes, onions and wheat also produced.